Shirley Brand grew up an only child in a small town called DePue, Illinois. It was very much like my fictional town of Hayden's Valley. Like Helen, Shirley was very tall and she did sing in operettas at school. She was often given the part of the mother because of her height. She was a good student, when she wanted to be. Her mother worked hard in the town's zinc plant. It was her goal to send Shirley to college. But it's true that Shirley did work at Westclox in the summer and, at one point, made more money than her mother! And it's true the first thing she bought with her paycheck was a Mixmaster for her grandmother. Shirley had three close cousins who went to war. One was killed; the other two made it home. One of her friends had a brother who joined the service. He was the inspiration for Hal in Doing My Part. And Mrs. Osthoff was loosely based on a real person who lived across the alley from Shirley, a woman who spoke little English and often wailed for her beloved son who'd gone off to war. It was Shirley's family who later had to deliver the message about this boy's death to his heartbroken mother. And what about Westclox? What was it really like for Shirley? Very much as I described it in the book, including the accident with the drill and women like Martha and Betty who made things challenging for the younger girls. Shirley was 80 years old when my book was published. 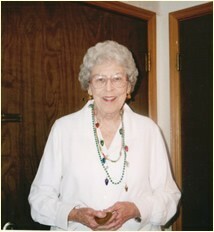 She had taught kindergarten for thirty-eight years in Colorado and loved children. She was extremely pleased to have a book based on her experiences. Shirley passed away at age 84 in January 2012.